Week-long aerial kids camp for students ages 7-12. Classes meet 10am-1pm, Monday-Friday. 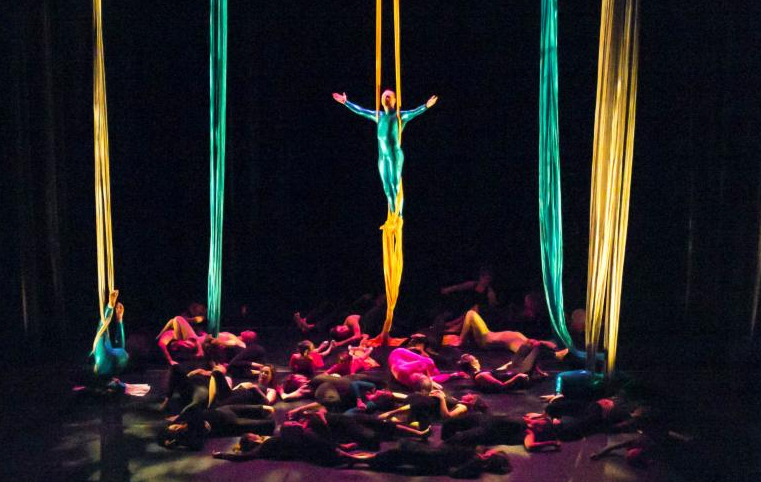 Students learn aerial silks and work together to create collaborative aerial choreography. 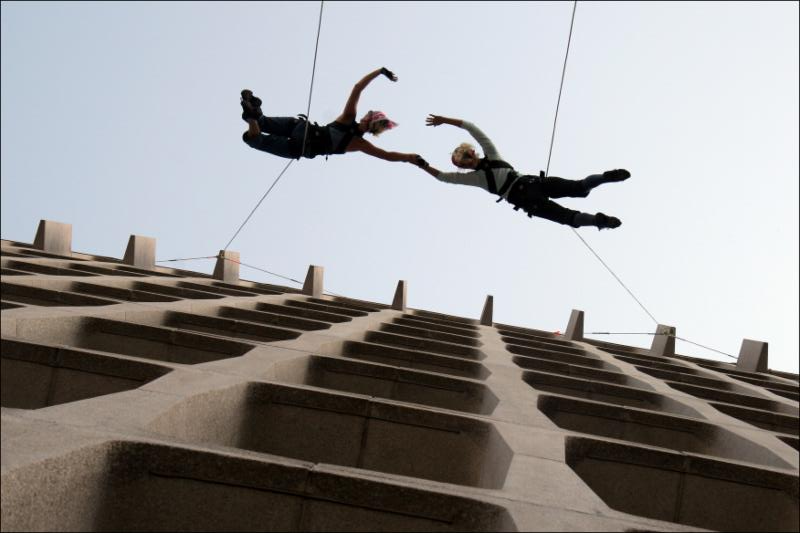 Each group creates a unique aerial piece and performs for friends and family at the end of the week. Our first week of class is off to a wonderful start! 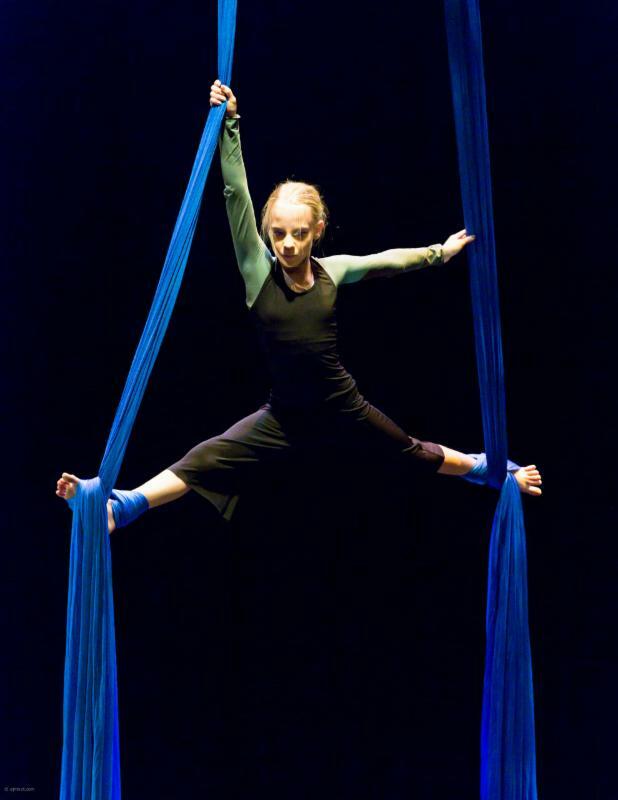 Enrollment is open for Silks, Harness, and Conditioning Classes. Morning and Evening class available. Schedule groups for special occasions, workshops, or one-on-one aerial instruction. Available by appointment. Swing around the studio! We are pleased to offer harness technique. Blue Lapis Light loves to dance on buildings and can now share the experience with you. Harness work cultivates line grace, awareness, and awesome abs! 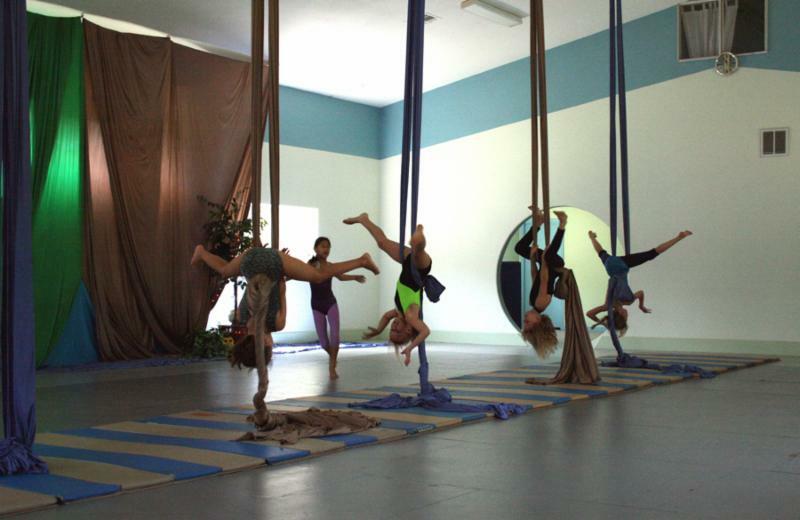 Conditioning classes offer strength, flexibility, and preparation for aerial silks. Climb on, sculpt your body with a fun form of weight lifting.